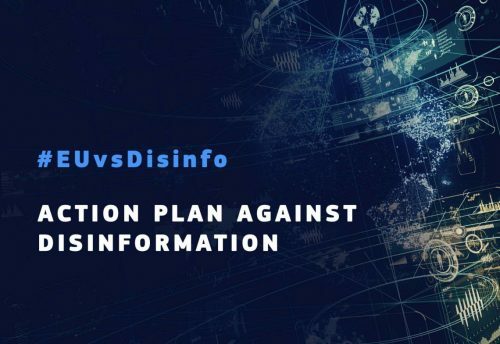 On December 5, 2018, the European Commission presented an Action plan against disinformation, which can be defined as a verifiable false or misleading information that is created, portrayed and disseminated in order to achieve economic benefits or misleading public opinion. This plan assumes increasing the capacity of EU institutions and Member States to reveal, analyze and disclose fake news, to find methods of responding to disinformation campaigns, and also to raise public awareness in this area. This is extremely important because this type of information effectively disrupts public debate, affects democratic processes, at the same time undermining citizens’ trust in institutions and the media. Due to the growing problem of disinformation, the Polish Science Contact Agency in the first quarter of 2019 started a series of meetings for representatives of Polish regions devoted to this issue. The first meeting took place on January 17, 2019, during which Mr. Robert Sołtyk, Senior Adviser of the European Commission, talked about EU strategies to fight against disinformation. We discussed on actions against hate speech, the need of media education as well as legal regulations regarding the usage of Internet. The main theme of the next meeting, which will take place in the PolSCA Office on February 12 (Tuesday) at 9.30, will be the role of disinformation in the narrative about the exit of Great Britain from the European Union. The issues of fake news, Brexit and the participation of British scientists in the EU framework programs in the field of research and innovation will be brought up by European Advisor, Mr. Błażej Thomas from the UK Research Office (UKRO). In the meantime, we would like to kindly invite you to take part in two interesting events related to the subject of disinformation that will take place in the European Parliament: European Science-Media HubWorkshop Tackling misinformation and disinformation in science and Science Meets Parliament. We strongly encourage you to participate!